დაცვის სტატუსი / Protection status: ტერიტორიის 80.16%-ს მადათაფის აღკვეთილი ფარავს. SPA 24 მთლიანად IBA-ში (GEO31) შედის და ტერიტორიის 45.37%-ს შეადგენს / 80.16% of territory is covered by Madatapa Managed Reserve. 100% of territory is covered by IBA (GEO31). 45.37% of IBA (GEO31) is represented by SPA N24. დასაცავი სახეობები / Species of concern: ვარდისფერი ვარხვი (Pelecanus onocrotalus), ქოჩორა ვარხვი (Pelecanus crispus), წითელთავა ყვინთია (Aythya ferina), რუხი წერო (Grus Grus), წყალმცურავი ფრინველები. აღნიშნულ ტერიტორიაზე ბუდობს: 1-2 წყვილი რუხი წერო, 30-50 წყვილი წითელთავა ყვინთია და 1000-1200 წყვილი სხვადასხვა სახეობის წყალმცურავი ფრინველი. გაზაფხული-შემოდგომის მიგრაციისას, ტერიტორიას 20000-ზე მეტი ფრინველი იყენებს (მოცემული სახეობებისთვის იხილეთ დანართი I). ხანჩალის ტბას საკვებად 30-40-მდე ქოჩორა ვარხვი და 300-მდე ვარდისფერი ვარხვი იყენებს. (Javakhishvili et al. 2014). ქოჩორა ვარხვი და რუხი წერო შეტანილია საქართველოს წითელ ნუსხაში როგორც საფრთხეში მყოფი (EN), ვარდისფერი ვარხვი როგორც მოწყვლადი (VU) სახეობა. ქოჩორა ვარხვი და წითელთავა ყვინთია IUCN-ის საერთაშორისო წითელ ნუსხაში შეტანილია როგორც მოწყვლადი (VU) სახეობები. / White Pelican (Pelecanus onocrotalus), Dalmatian Pelican (Pelecanus crispus), Pochard (Aythya ferina), Crane (Grus Grus), breeding and migratory Waterfowl. 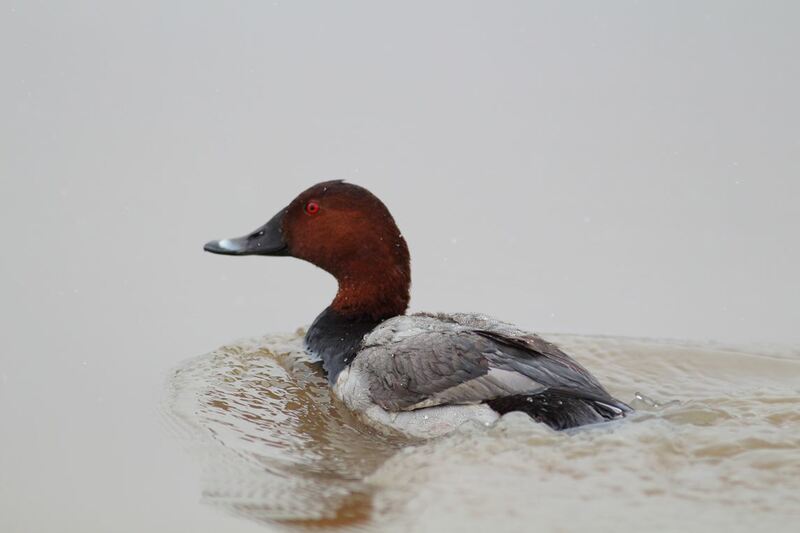 3-4 pairs of Crane, 30-50 pairs of Pochard. 1000-1200 pairs of waterfowl breed on the lake. Lake is used by over 20 000 waterfowl during spring and autumn migrations. 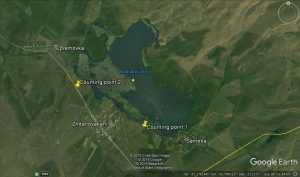 Around 30-40 Dalmatian Pelicans and 300 White Pelicans use lake for feeding (Javakhishvili et al. 2014). Dalmatian Pelican and Crane are included on the red list of Georgia as Endangered (EN), White Pelican – Vulnerable (VU). Dalmatian Pelican and Pochard are also classified on the IUCN red list as Vulnerable (VU). ტერიტორიის აღწერა / Description of the site: მადატაფა საქართველოს სამხრეთ ნაწილში ზღვის დონიდან 2100 მეტრ სიმაღლეზე მდებარეობს. ტერიტორიის უდიდეს ნაწილს ევტროფიცირებულ ტბა – მადათაფა იკავებს. აქ მცენარეული საფარის დიდი ნაწილი ისლით (Carex juncella, C. tristis, C. lasiocarpa, and C. vesicaria), შვიტათი (Equisetum flaviatile, E. paluste) და ლერწამქუჩითაა (Festuca varia) წარმოდგენილი. ორნითოფაუნა იხილეთ http://aves.biodiversity-georgia.net / Madatapa SPA is located in the Southern part of Georgia at an altitude of 2100 meters. Majority of territory is represented by Lake Madatapa. 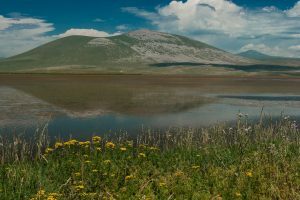 Sedge (Carex juncella, C. tristis, C. lasiocarpa, and C. vesicaria), Horsetail (Equisetum flaviatile, E. paluste), and Meadow Fescue (Festuca varia) are found on the shores of the lake (Kvachakidze 2010). See http://aves.biodiversity-georgia.net for Avifauna. მეთოდის აღწერა / Description: წყალმცურავ ფრინველებს მადათაფის ტბაზე პირდაპირი დათვლის გზით, ორ-ორჯერ (დაახლოებით ორი კვირის შუალედით), სექტემბერში, ოქტომბერში, აპრილსა და მაისში აღრიცხავთ. ყოველ ჯერზე, სახეობრივი მრავალფეროვნებისა და მათი რიცხოვნობის მონაცემებთან ერთად კლიმატური პირობებსაც ინიშნავთ. მონაცემები ყოველ ჯერზე მონაცემთა ბაზაში შეგაქვთ. სათვლელი წერტილებისთვის იხილეთ რუკა 1. / Water Birds should be directly counted with two weeks interval every September, October, April and May. Date, weather conditions and number of birds should be recorded. Count data should be recorded in the database. Counting points see Map 1.
მეთოდის აღწერა / Description: მობუდარ წყვილებს მაისის ბოლოს პირდაპირი დათვლის გზით აღრიცხავთ. კარგი ხედვისთვის, ფრინველებს შემაღლებული ადგილიდან, ტელესკოპისა და ბინოკლების მეშვეობით ათვალიერებთ. წეროების აღმოჩენის შემთხვევაში, წყვილების რაოდენობას GPS კორდინატებსა და ამინდის მახასიათებლებს ინიშნავთ. მიღებული მონაცემები მონაცემთა ბაზაში შეგაქვთ. / Count of breeding pairs should be taken place in late May. For good visibility fields are scanned from elevated places with binoculars and scope. Date, weather conditions, number of observed pairs and GPS coordinates should be recorded. საჭირო აღჭურვილობა / Needed Equipment: ტელესკოპი 20X60 გადიდებით, შტატივთან ერთად; ბინოკლი 8X ან 10X გადიდებით; GPS / 20X60 magnification spotting scope; 8X or 10X magnification binoculars; GPS. მეთოდის აღწერა / Description: ვარხვების ორივე სახეობის აღრიცხვა ჯავახეთის სხვა ტბებთან კოორდინაციაში ხდება. იხ. SPA N21. სათვლელი წერტილებისთვის იხ. რუკა 1. 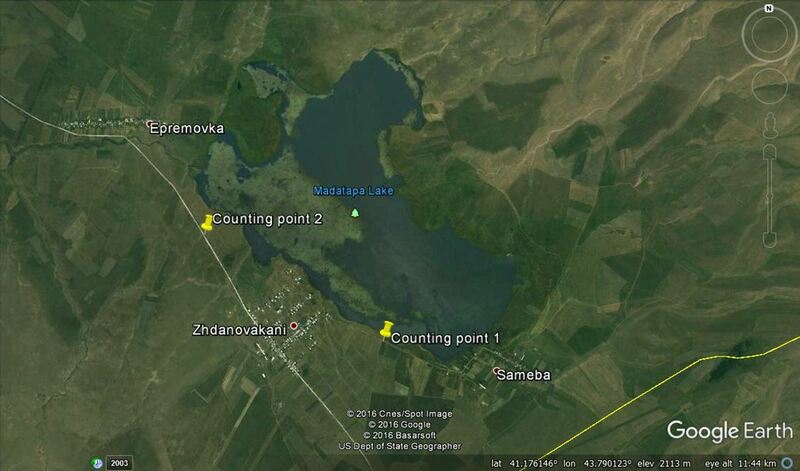 / Counts of both pelicans species should be coordinated with other Javakheti upland lakes. Counting point see Map 1.